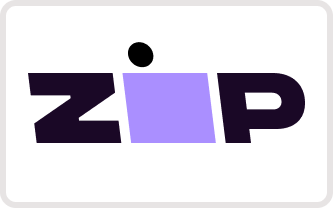 ZIPPAY & AFTERPAY AVAILABLE Shop Now, Pay When You're Ready! It began when I was much younger, cooped up in our family beach house and watching my grandmother sew the most remarkable creations. Starting with the most basic stitches; we began to sew every holidays for the next year to create a Christmas stall full of goodies, and I quickly discovered where my passions lie. Learning from past generations is something that I will always cherish. I am a firm believer in surrounding yourself with good people, good vibes and only positivity, and I gain my inspiration from the people closest to me. Like majority of girls my age, whenever I had an event approaching I would spend hours online searching for a perfect outfit that my student budget would allow. It was frustrating and after gaining inspiration from a friend, a spark hit me and I decided to create the outfit I was going to wear that weekend. I gained an overwhelming response and so I began sewing custom garments for my girlfriends. With a little push from those who know me best, I took the leap and decided to form By Shyanne the Label. Every stitch of a By Shyanne design is sewn with pride and I am in love with what I do. My purpose is to provide garments that have versatility and can be worn in whichever way suits the individual. Each garment comes with a message; to be worn with confidence. Hours are dedicated into finding the perfect fit that will flatter the female physique, allowing her to radiate confidence, femininity and style. Since late 2017 and thanks to the support of our customers, our one-man team has expanded and we now a have a small squad of design professionals. We cut, sew and package every garment with love and strive to deliver a quality product that I truly believe in. Life is what you make it and my love for what I do is what gets me out of bed every morning. Have any questions that we haven't answered in our FAQ's? Email us below and we will get back to you shortly.